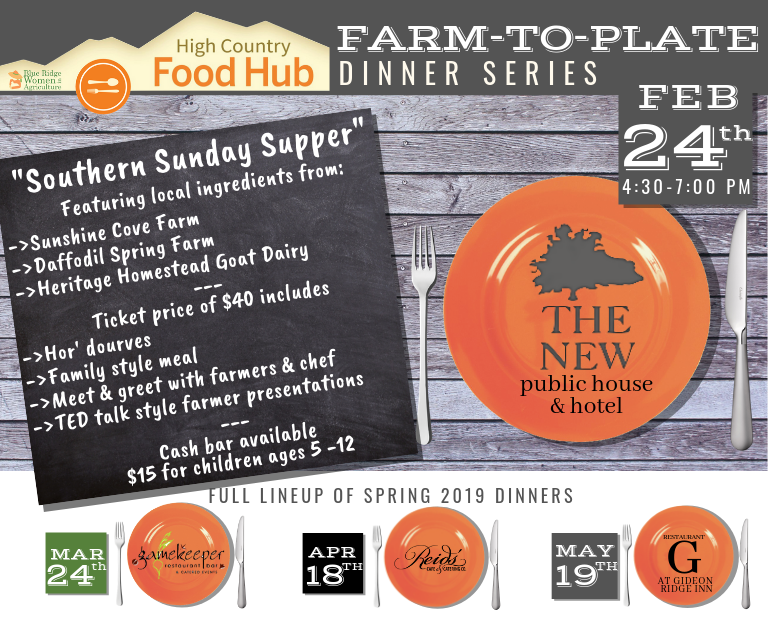 Participants will hear stories from the three featured local farmers about their craft and why small-scale agriculture plays such an important role in the High Country. ​Using food to bring people together, this dinner series will be sure to educate, inspire, and delight. 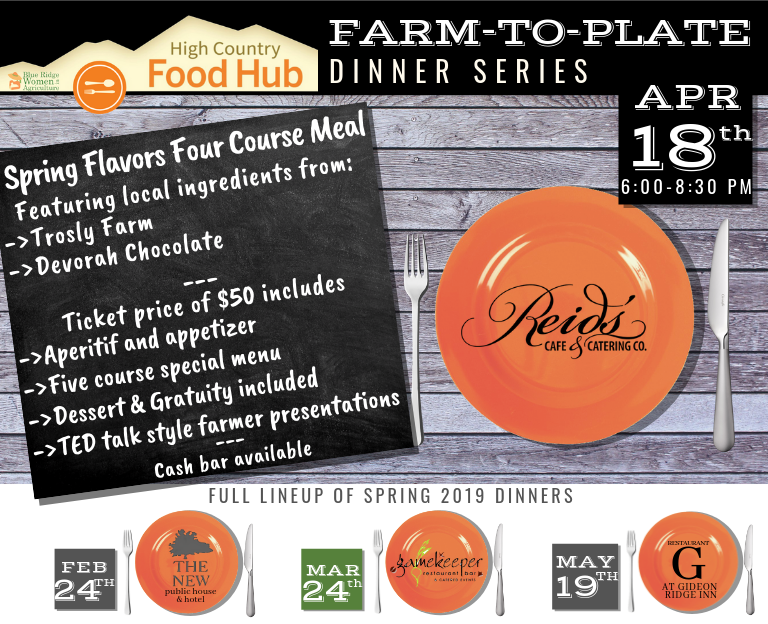 This third meal will highlight the fresh flavors of spring with a special four-course meal designed, prepared, and hosted by Reid's Cafe & Catering. 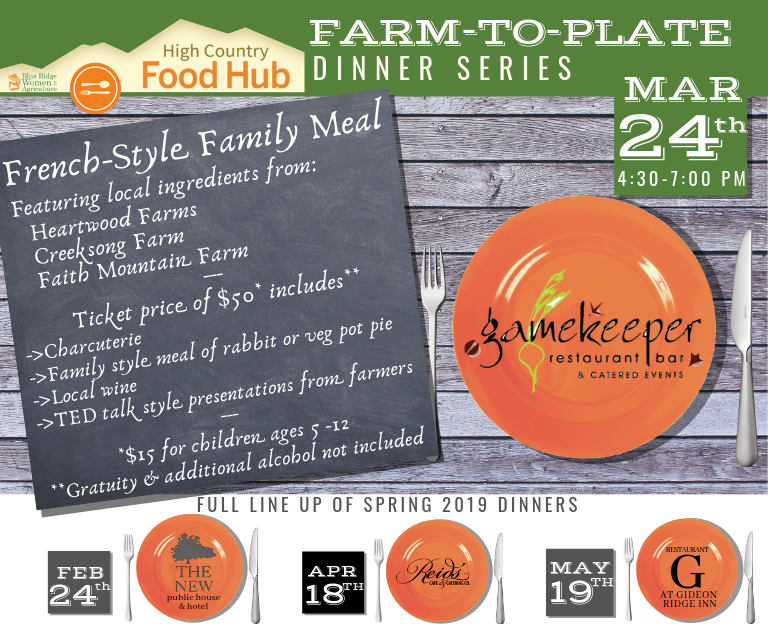 This second meal will highlight the fresh flavors of spring with a special french-style family meal designed, prepared, and hosted by The Gamekeeper Restaurant. Dinner includes wine tasting, compliments of Grandfather Vineyard and guests will have the opportunity to purchase bottles and cases of the featured wines. The talented Gamekeeper bar crew will also be offering local brews, wine by the glass, and a special "NC spirits" cocktail menu at the cash bar.